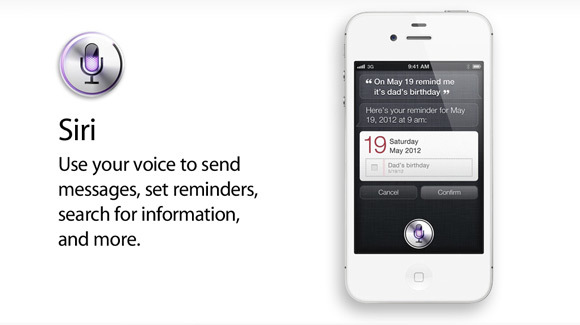 Apple To Bring Siri on iPhone 4? The most amazing feature that makes iPhone 4S more demanding and attractive is 'siri', the voice assistant which lets users perform different tasks simply by using voice commands. But there are many people around who are looking to get siri on older iOS devices and if you are one of them, there is a hope for you. According to JailbreakNation, Apple is testing to get siri on other iOS devices than iPhone 4S. Today, we have a very interesting bit of news, tipped to us by a source close to Apple. According to them, Apple is testing Siri on devices other than the iPhone 4S. The device specifically mentioned to us was the iPhone 4, but we can most likely assume that other devices are being tested as well. This means that we will potentially see a software update that allows Siri to run on older devices. Currently, it only runs on the iPhone 4S, but Apple has given employees access to a special software version that incorporates Siri’s features on to older devices. Hackers and developers are currently working for a port, but if Apple releases this in a software update any time soon, they may not need to. It's still not confirmed that Apple is going to make siri for iPhone 4 but you can always hope for the best. Also, some iOS hackers have successfully ported siri to older iOS devices like iPod Touch 4G and iPad 2. Let's see what happens next. 0 Respones to "Apple To Bring Siri on iPhone 4?"